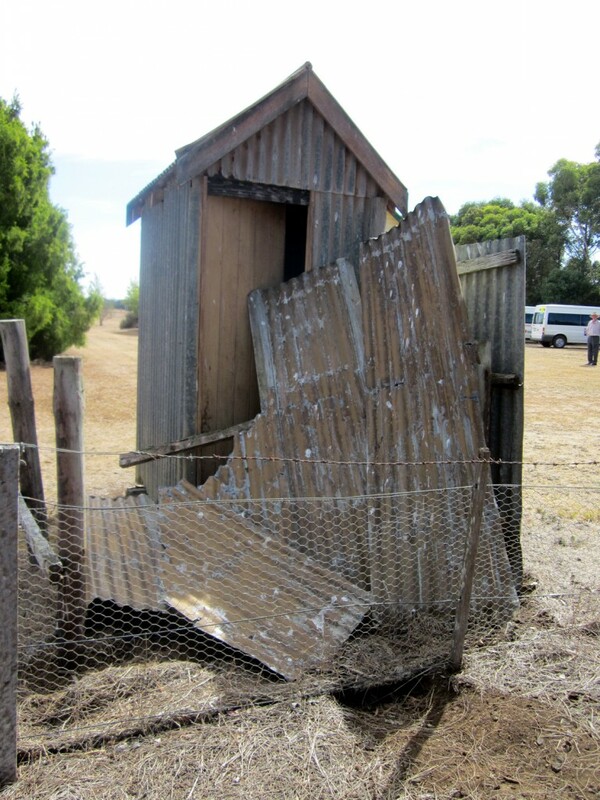 Our Labour Day Weekend Tour destination was the Warrnambool area in western Victoria. The Wendish Heritage Society thanks Betty Huf, and her husband, Colin, who were entirely responsible for the organisation of this highly successful event. The tour was led by local historian and researcher, Betty Huf. 1.00pm: “Cheeseworld”. 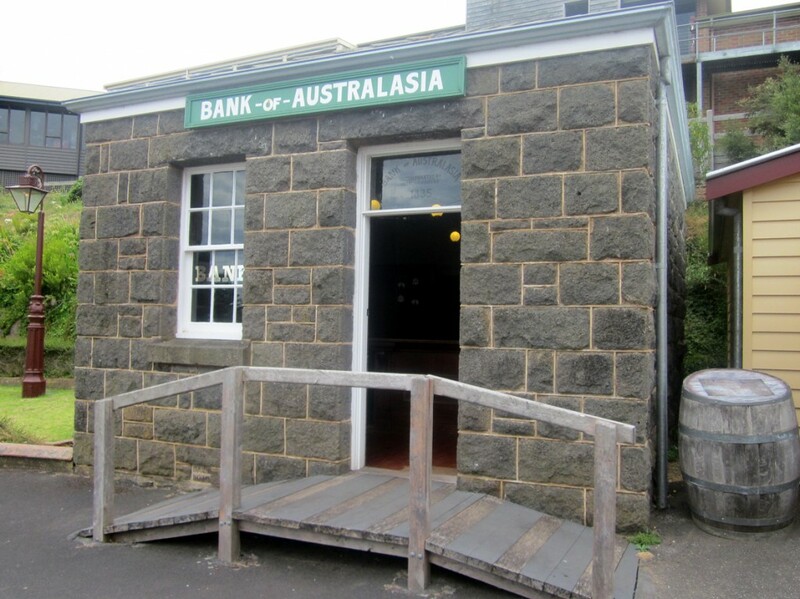 The tour commenced in this Museum at the Warrnambool Cheese and Butter Factory, located just off the Princes Highway at Allansford. For those arriving early, there was a large café area which provided reasonably priced light lunches, and a shop which sold a comprehensive selection of local gourmet items including wines, cheese, olives, jams and preserves, etc. We had a guide to explain various aspects of the Museum collection, which included many artefacts relating to the dairy industry and a wide range of engines and motoring accessories donated and maintained by the Warrnambool and District Historical Vehicle Club. Of particular interest were those dairy items which pertain to the Uebergang and Grauer families and the chassis of a steam car built by Johannes August Carl Ziegler in 1892, and reputed to be the first built in Australia. 2.30 pm: Warrnambool Cemetery. A short guided tour of the cemetery was conducted by Betty. There are some notable people buried here, including a former Premier of Victoria. 4.00 pm: Pleasant Hill Gardens. These gardens were established outside the Fletcher Jones & Staff trouser factory which opened in Warrnambool in 1948. They became famous across Victoria as one of the most visited and photographed “industrial” or private gardens in the State. Although no longer as glorious as in the past, it is still possible to enjoy a stroll through the garden, and wander along the façade of the former Fletcher Jones factory. A small portion of the building houses an immense Market, and it is possible to envisage how extensive the factory was in its heyday whilst browsing amongst the many rows of “treasures”. Afternoon tea was available for tour participants to enjoy. 6.30 pm: Dinner at the Warrnambool Lutheran Church Hall, corner of Henna and Koroit Streets, was catered by the Women’s Auxilliary. The guest speaker, Betty Huf, gave an illustrated talk titled “Warrnambool Germans 1849 – 1900”. 8.15 am: We met at the Lutheran Church, corner of Henna and Koroit Streets to board one of two buses which conveyed us to to Hawkesdale, and all subsequent destinations for the day. 9.00 am: Worship service at Immanuel Lutheran Church, Main Street, Hawkesdale, followed by morning tea with congregation members. 11.00 am: Visit to the Lutheran section of the Hawkesdale Cemetery, followed by a drive through the Macarthur Wind Farm (the largest of its kind in the Southern Hemisphere). 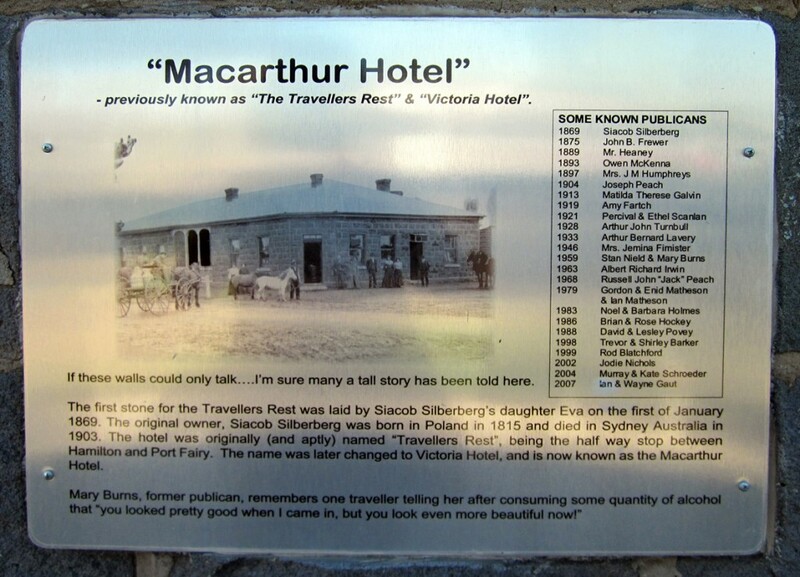 12.30 pm: Lunch at the historic Macarthur Hotel, built in 1860. 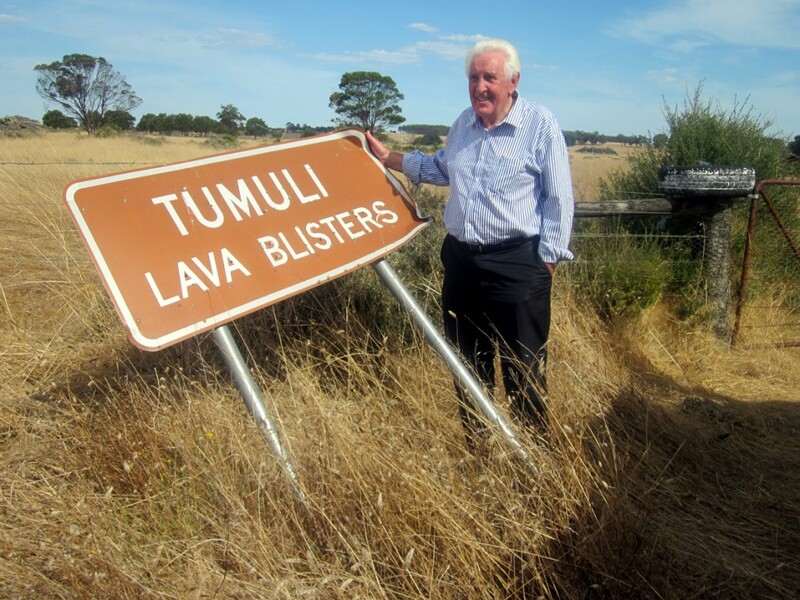 2.00 pm: Drive to the Byaduk Lutheran Church and Cemetery, and then on to view the Tumuli, circular mounds of volcanic rock that rise up to 10 metres from the lava flow, and which are considered unique in Australia and rare on a world scale. 4.30 pm: Return to Warrnambool via Tower Hill Game Reserve, which features a deep circular crater, which is one of the largest maars (shallow, flat-floored crater) in the world. After a drive inside the crater, we returned to Warrnambool. 6.30 pm: BBQ with our hosts at the Warrnambool Lutheran Church. Congregation members will be given a brief presentation on the Wends, who they are, their culture and history. 9.30 am: Flagstaff Hill Maritime Village, a maritime museum and outdoor village with Australia’s richest shipwreck collection; all contained in an 1870’s village located overlooking Lady Bay. 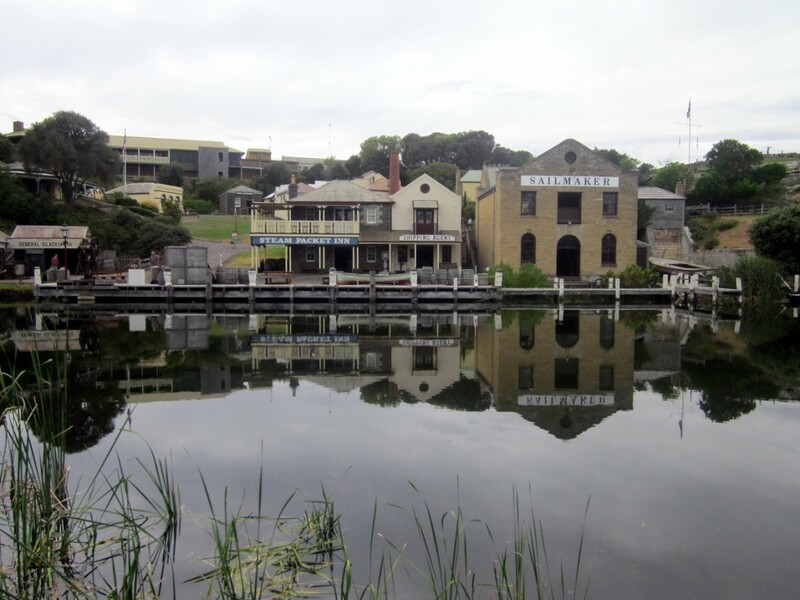 The village provides a glimpse into the maritime lifestyles and trades of the 1870’s era, the peak of Australia’s maritime heritage. The museum houses two items carved by August Landmann, who emigrated on the Wilhelmsburg in 1847.